Employers have duties concerning the provision and use and storage of personal protective equipment (PPE) at work under the Protective Equipment at Work Regulations 1992 (as amended). 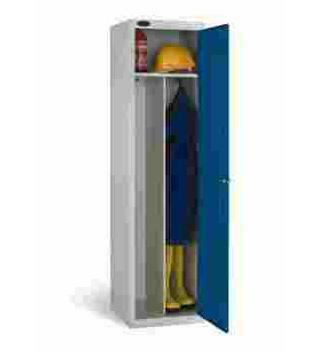 We are able to provide specific PPE lockers in a range of styles and sizes. From 1 to 5 compartments with the additional option of a Clean & Dirty PPE locker that can help in the separation of stored clean and dirty PPE. The Clean & Dirty PPE Locker is available in one size only.